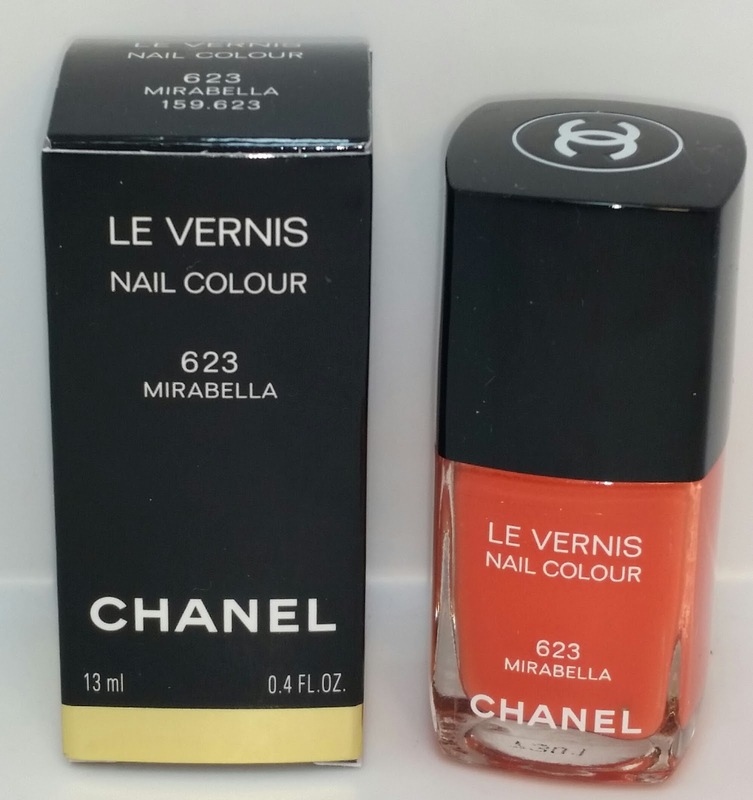 Chanel 623 Mirabella is a bright orange nail polish. This gorgeous nail polish has a semi-opaque formula that applies unevenly and streaky. 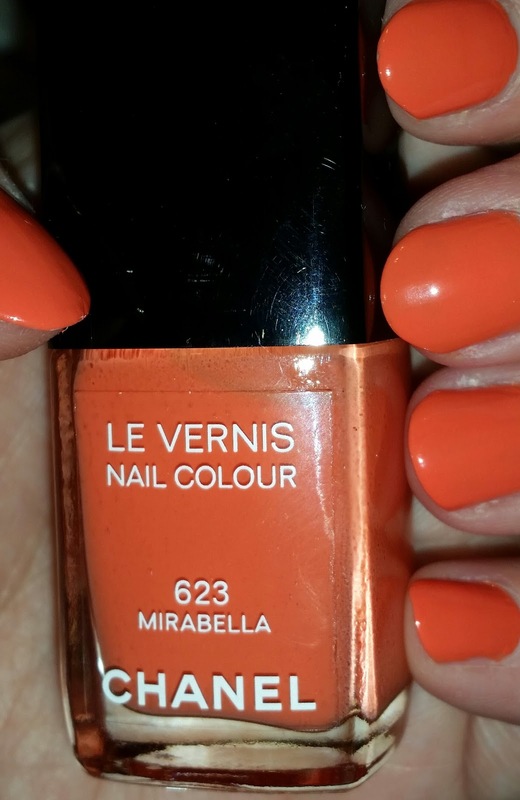 It is opaque with two coats and despite the poor performance the bold and unique orange color makes this a must have for Summer if you can overlook it shortcomings. The polish currently retails for $27.00 USD and contains .4 fl oz. of product. 623 Mirabella is part of the Chanel Summer collection REFLETS D’ÉTÉ DE CHANEL. Read more about the collection or individual pieces below.